Could Probiotics Ease Sneezing, Sniffling, and Seasonal Discomfort? With temperatures on the rise and flowers budding, it’s a time of the year that is loved by many. At last, spring is here! 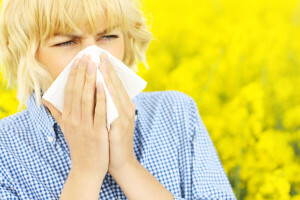 With more sunshine and warmer weather comes much discomfort for victims of seasonal allergies. The perpetrator? Those gusty spring winds often bring pollen and other irritants that result in an array of adverse reactions. 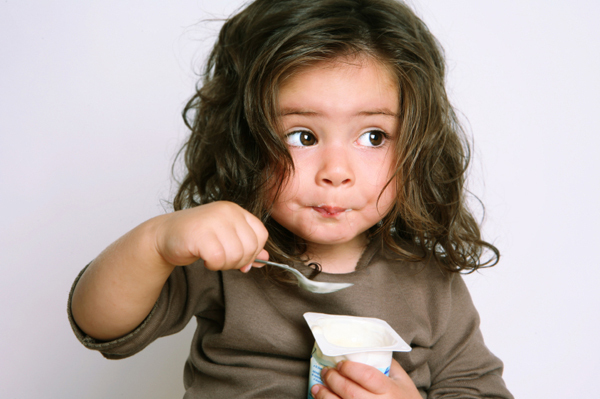 Probiotics have been linked to numerous health benefits – digestive and even immune related. But in recent news, the science community has been studying probiotics and the impact these beneficial microbes could have on seasonal allergy symptoms. As suppliers of probiotics, we were pretty excited to learn about this development. So, we did some research and this is what we discovered. 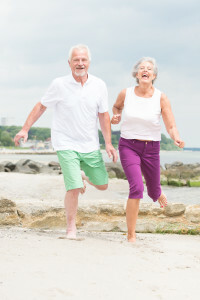 Between all the sneezing and hoarseness that many people suffer in the spring and fall, there is much more happening inside of your body than just what is being exhibited on the outside. According to an article in Fitness Magazine, the release of histamine is to blame. Upon the release of histamine, your body shows all of the symptoms that people associate with allergies. Now, imagine if probiotics could help stop allergy symptoms before they even started. Good news. In a recent study, that is exactly what happened. When individuals suffering from seasonal allergies supplemented with a probiotic-based drink with Lactobacillus casei, users experienced significantly lower levels of immunoglobin E (igE), the antibody responsible for otherwise triggering histamine. Unsure exactly what this means? It means that certain strains of probiotics like L. casei could help put an end to sneezing, watery and itchy eyes, and snotty noses. Is Probiotic Supplementation Right for You? As discussed previously, taking a daily probiotic may also strengthen your immune system, which helps your body stay better equipped for handling seasonal allergies. However, in more severe cases, additional treatment may be required. Talk to your physician about the best course of treatment for your seasonal allergies. For more industry news, visit our blog. 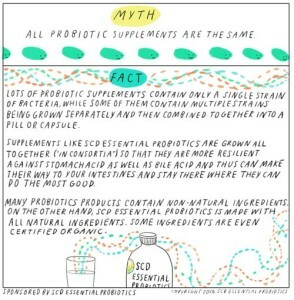 PROBIOTIC MYTHS – PART VI. 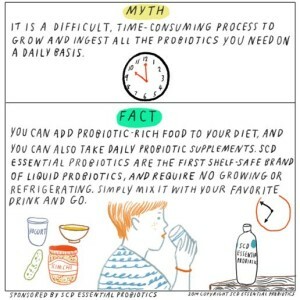 In our mini blog series about probiotic myths, we have already learned about many common myths that surround probiotics. 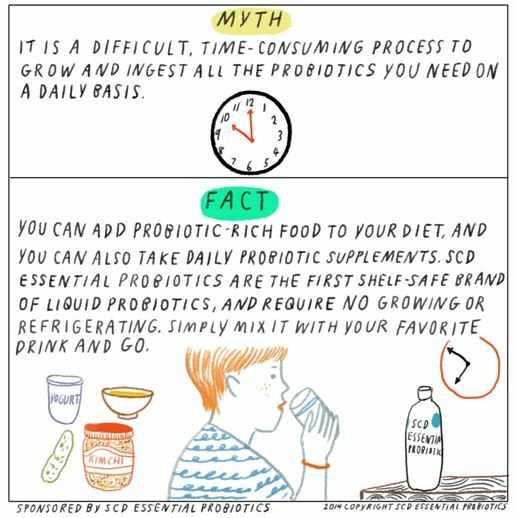 This week, we will dispel perhaps one of the more outlandish probiotic myths, making it more important than ever to tune in. Like so many things, not all probiotics are created equally. Unsure why? Allow us to explain by using our probiotic supplement as a prime example in the illustration below. 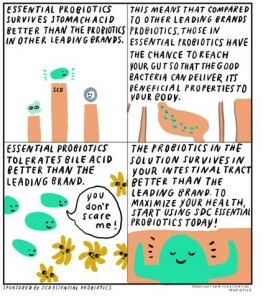 Wow, pretty neat that there are so many different formulas for probiotic supplments! To drive this week’s blog home, next time you are considering a probiotic supplement, just remember that like you, they are all different. If you are unsure which blend is right for you, be sure to just ask your physician which best suites your needs. For more information on probiotics and your health, tune into our blog regularly. 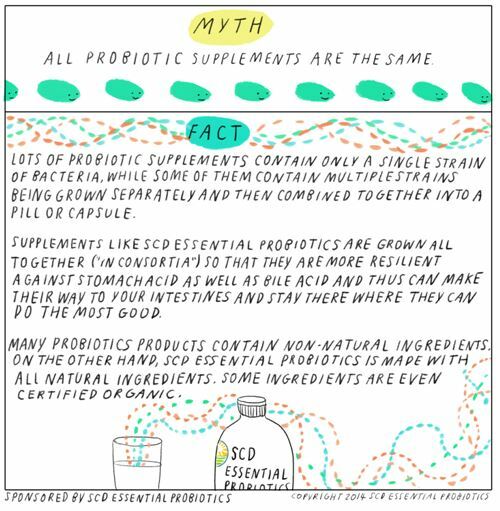 PROBIOTIC MYTHS – PART V.
In this mini series, we have already dispelled a lot of myths surrounding probiotics. Like how they are only good for your digestive health, how it is best to take probiotics on an empty stomach and how you should never take probiotics with antibiotics, or that yogurt is the only source of probiotics you need. What do all of these statements have in common? They’re myths…which is why we are here to dispel yet another! If you have been discouraged by the daunting task of providing your body with adequate amounts of probiotics, this next one is for you! See, it is really quite easy to get the recommended daily serving of probiotics.. Need more specific instruction? We encourage you to speak to your physician before beginning supplementation, if you have questions or concerns. Tune in soon for the last part of this mini series. 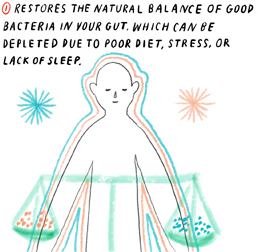 Last week, we learned how probiotics are used to restore the natural balance of good bacteria in your gut†, which can be depleted due to poor diet, stress, or lack of sleep. 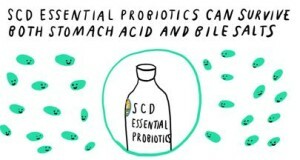 And as impressive as that is, probiotics are capable of so much more, which is why we started this 7-part blog series. Time for part 2 – tune in soon for the next fact. 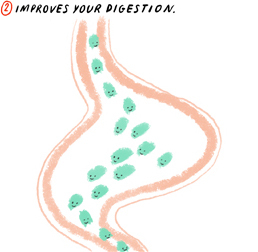 Digestion impacts our body in lots of different ways, sometimes leaving us constipated or overactive. To enhance your digestive health,† look for proactive ways for making probiotics part of your everyday routine. 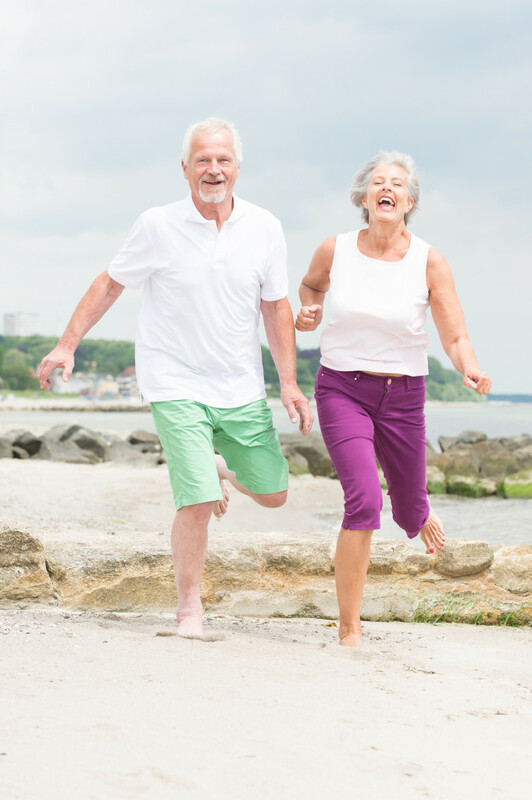 At SCD Probiotics®, we are dedicated to bringing consumers the information they need to make informed decisions about probiotics. Join us later this week for part 3 of this educational mini blog series.